Home · Property Management · Marketing Vacant Units : A $4,500 Pet Deposit – Yikes! A $4,500 Pet Deposit – Yikes! A $4,500 pet deposit. Yikes! Yes, that is what this out-of-town owner wants! We currently have a vacancy in a home in which we replaced carpet and vinyl. This home was built in the late 1950’s, a very nice home just minutes from Texas A & M, tons of 1950’s character and lots of room. The new flooring really makes the home show well. 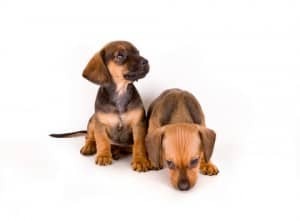 We have had several prospective tenants look at the home and are interested in leasing, however, when we have to discuss pet deposits they RUN to their vehicles. We live in College Station, Texas, Home of Texas A & M University and the Texas A & M Veterinary School. Almost all students have a pet. Now compound that with roommates and there are often times several pets. Our properties have pet limits, size and weight limits and breed restrictions. Some properties have no-pet policies, and some will accept your pet for a $4,500 pet deposit. I spoke with the owner yesterday and told him that we should just say “no pets” and he tells me that he is fine with pets as long as they pay the deposit large enough to cover replacing flooring in the home. He says that these students who have three or four pets will not take care of his property. So as of now, I have a lovely home just minutes to Texas A & M and pets will be considered with appropriate pet deposit — and it is $4,500! Yikes! I hope I don’t scare away all prospective tenants. Debi McKamie has over 20 years experience in real estate, and currently is a Realtor and Property Manager with Texas Crosswinds Realty, Inc., in College Station, Texas.